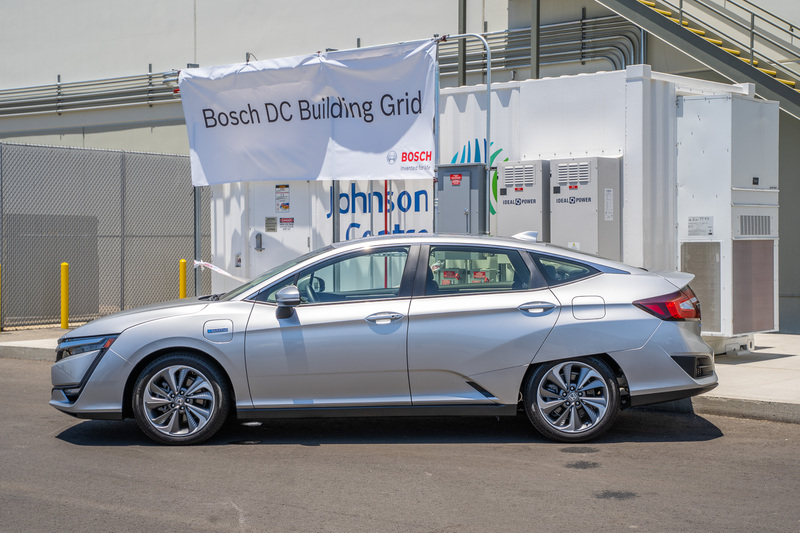 The largest commercial building DC microgrid in the world was recently unveiled at the American Honda Distribution Center in Chino. Attendees learn about the DC microgrid at the American Honda Distribution Center in Chino. Computer screens show data collected from the DC microgrid at the Honda facility in Chino. Innovative DC microgrid demonstrates zero net energy potential at an American Honda distribution center. Almost 20 percent of the greenhouse gases in California come from industry, which is why improving their facilities’ ability to harness solar energy and battery storage is important to attaining the state’s renewable energy goals. This is why Tuesday’s ribbon cutting for the largest commercial building DC microgrid in the world, at the American Honda Distribution Center in Chino, is an important milestone. This microgrid generates, stores and then uses direct current or DC to power energy-efficient lighting, ventilation and forklift chargers. The DC microgrid addresses a longstanding barrier to improving efficiency, which is that the utility distribution grid delivers alternating current, or AC, while rooftop solar energy and batteries use DC. Conversions back and forth are inefficient and waste power. “Honda was the first automaker to acknowledge the problem of climate change, and is committed to the goal of a carbon-free society,” said Ryan Harty, manager of Honda’s Environmental Business Development Office. There are currently only five DC microgrid demonstration projects in North America, including one other in California. The Honda microgrid was funded as a demonstration project by the California Energy Commission and other partners. The microgrid’s power comes from 286 kW rooftop solar panels that can power 100 percent of the energy required for the lighting, ventilation and fork lift chargers when the sun is shining or can divert excess energy to two on-site batteries with a combined 540 kWh of storage. So much of innovation is team effort. Customers, vendors and our utility all supported this project. Working together, we can meet California’s greenhouse gas reduction goals. Avoiding the conversion from DC to AC current and back again saves 10 percent of the energy produced. It also improves grid reliability and can save Honda money on their electric bill. Ultimately, DC microgrids should allow customers to better harness renewable energy in order to clean the air and reduce greenhouse gas emissions. 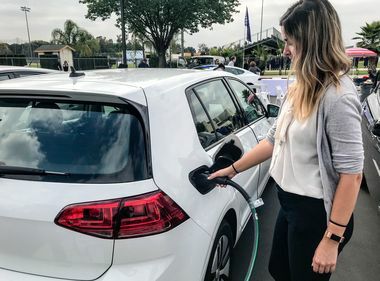 “Projects like these have direct benefits for the communities around them,” said Bryan Early, representing California Energy Commissioner Andrew McAllister. The project costs $4.6 million. The California Energy Commission provided approximately $2.8 million of this; the rest was provided by matching funds. 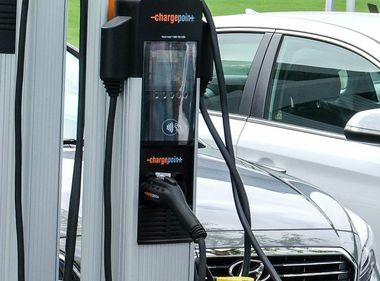 The bulk of these funds came from The Bosch Group, which designed and built the microgrid to demonstrate the effectiveness of its DC Building-Scale Microgrid Platform. 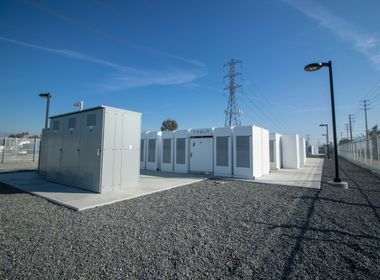 SCE supported the interconnection of the microgrid with the utility grid, which provides backup to the system, ensuring reliability. The California Energy Commission and partners are collecting performance data which will be evaluated to understand the capabilities of the system. This data will then be used to determine the viability and scope of potential future DC microgrids.